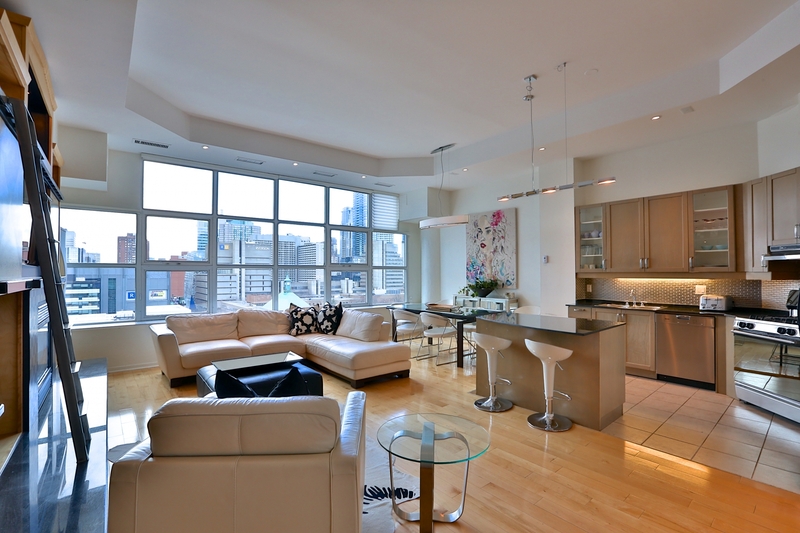 Luxury Loft Living In The Renowned Merchandise Building! Spacious 1537 Sq Ft 2 Bedroom Plus Den Unit, Beautiful Combined Living/Dining/Kitchen Space Looking Over Stunning West Facing Views Of The City! Upgrades Include Pot Lights Throughout And Custom Built Ins In Den And Living Room. Soaring 10 + 12 Ft Ceilings, 2 Car Tandem Parking & Locker - The Perfect Place To Call Home! The Ultimate Urban Location!